Bell Helicopter and Team Valor marked the one-year anniversary of the V-280 Valor’s first flight by focusing on the aircraft’s continuing proof of performance and technical maturity. The V-280 is part of the U.S. Army led Joint Multi-Role Technology Demonstrator (JMR-TD) program. – Demonstrating low- and high-speed agility with fly-by-wire controls. 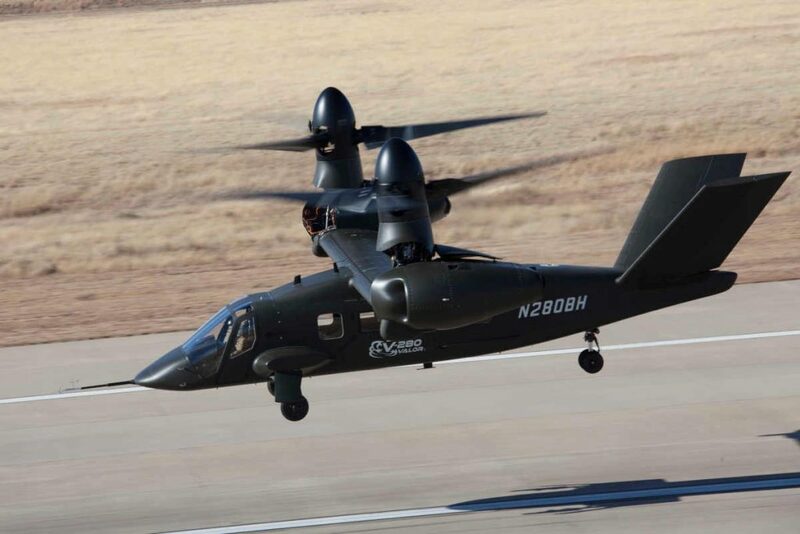 Bell expects flight testing will complete all the key performance parameters of the V-280 in the coming months, including additional low-speed agility tests and full cruise speed in forward flight. The company explains, in addition to its performance increases in speed and range of existing helicopters, the Bell V-280 Valor is designed to provide decisive battlefield advantages in terms of agility, payload, and reliability that will increase warfighter survivability and lethality.